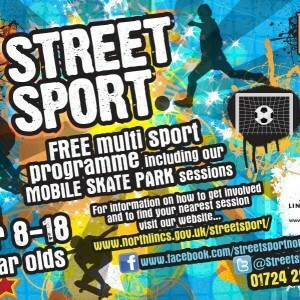 South Killingholme Community Centre and Playing Field on Moat Lane offers ‘Street Sport’ Multi – Sport. The MUGA on Newport Drive offers ‘Street Sport’ Multi – Sports. Winteringham Recreation Ground offers ‘Street Sport’ Multi – Sport. Barnetby Playing Field on Silver Street offers ‘Street Sport’ Multi – Sport. The Village Green in Kirton in Lindsey offers ‘Street Sport’ Multi – Sport. The Pods offers Disability Football with ‘On Target’. Disability Football sessions suitable for ages 8 – 24 years. Please note sessions run term-time only.